Playing with soap bubbles is pure fun and fascinates even the youngest child—cats and dogs, too. It's amazingly simple to mix a bubble solution from just a few ingredients. 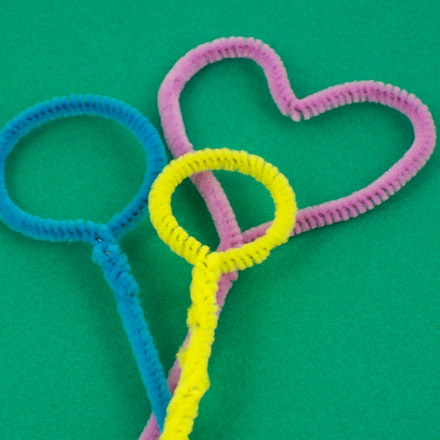 This solution can be used with bubble wands made from pipe cleaners, but it's even more fun to find things around the house to use for blowing bubbles. Optional: Corn syrup, pipe cleaners, and bowls or any shallow container. This recipe is rated VERY EASY to make. Very gently, stir the mixture. If any foam forms, gently skim it away. 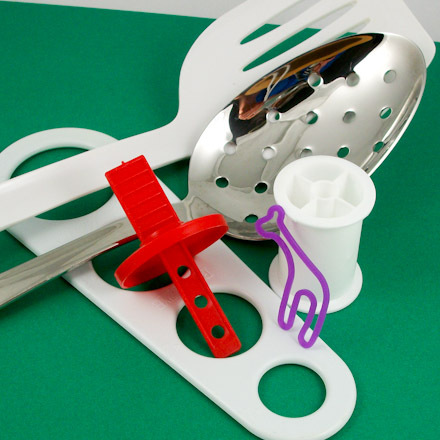 Find something to use for blowing bubbles—a bubble wand, a slotted spoon. Look around the kitchen for things with holes. 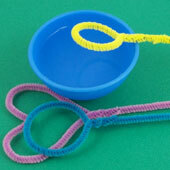 Optional: Make a bubble wand by twisting a pipe cleaner (chenille stem) into a a small loop. 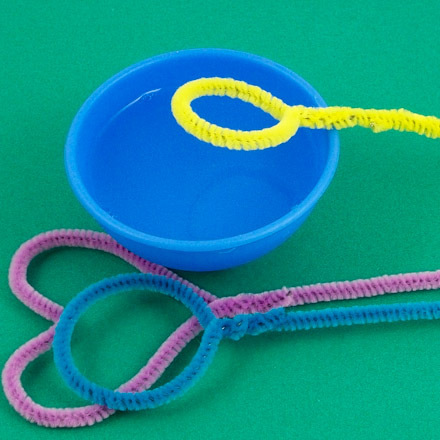 To make a perfect circle, wrap the pipe cleaner around a small bottle, tube, or spool. Halve the recipe for a smaller amount of solution, or double it for more. The longer you let the mixture set, the larger the bubbles are, and the longer they seem to last. That's it! Have fun blowing bubbles! Thanks to Pat O. of Iowa, who shared this recipe with Aunt Annie's Craft Exchange in 1996. 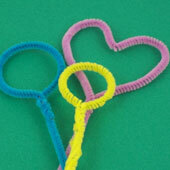 Tip: Find items in the kitchen and around the house for blowing bubbles. 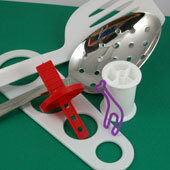 The tool with four holes for measuring pasta servings is easy to use and makes bubbles in multiple sizes.